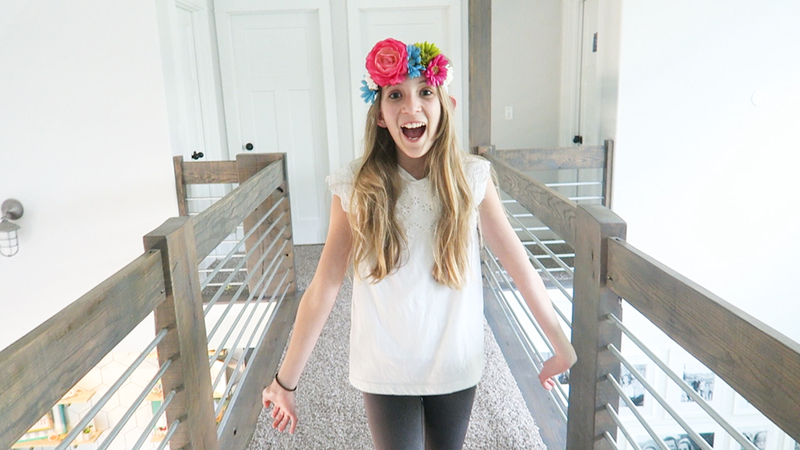 It’s your lucky today, because this project has it’s own awesome VIDEO TUTORIAL!! –Cut scraps of felt into small circles. 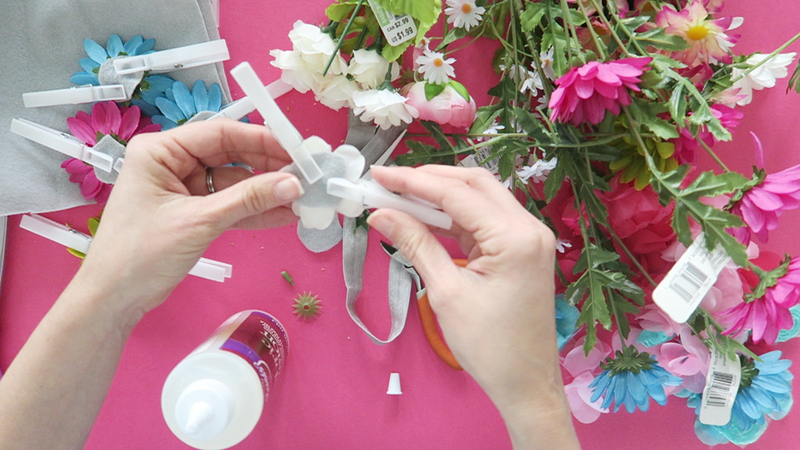 — Cut the bloom from the stem of the flower using wire cutters. Pull off the plastic piece. 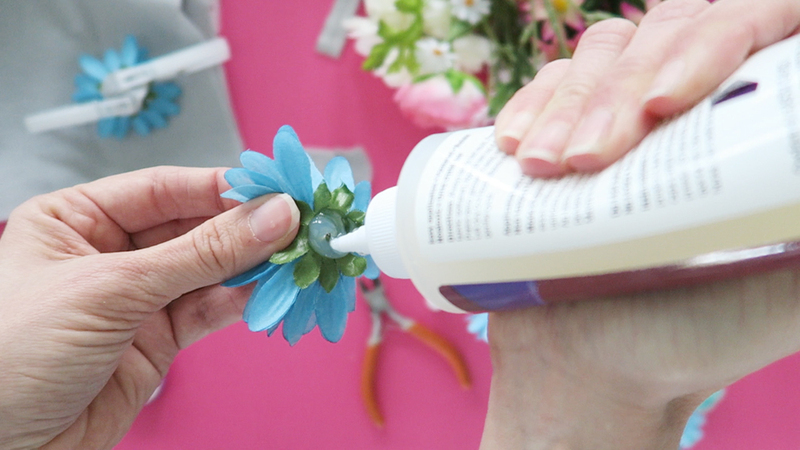 –Using Fabric Fusion, glue the felt onto the back of the flower. 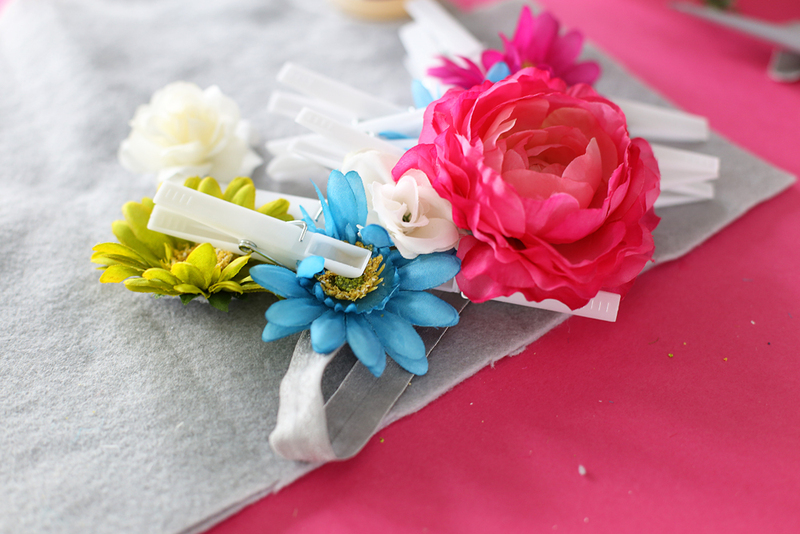 –Hold in place with clothespins and let dry. 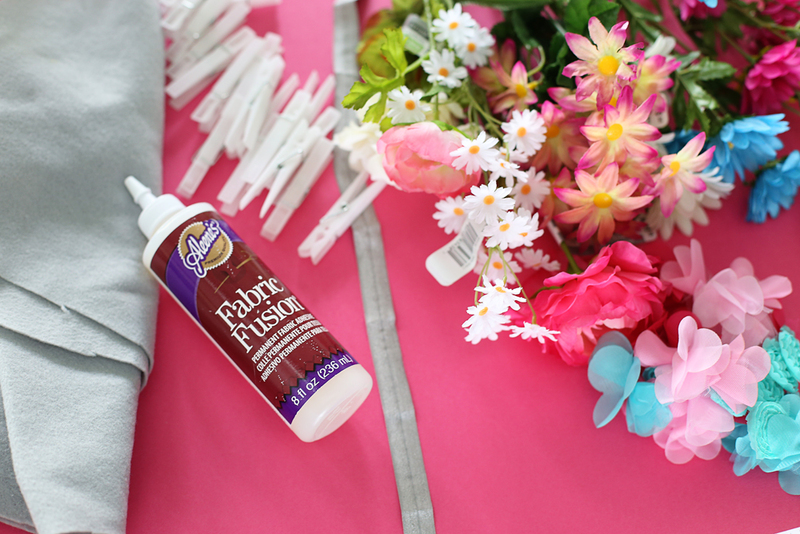 –When dry, use Fabric Fusion to glue the flowers to the elastic band, at the point of felt. Hold in place with clothespins and let dry. 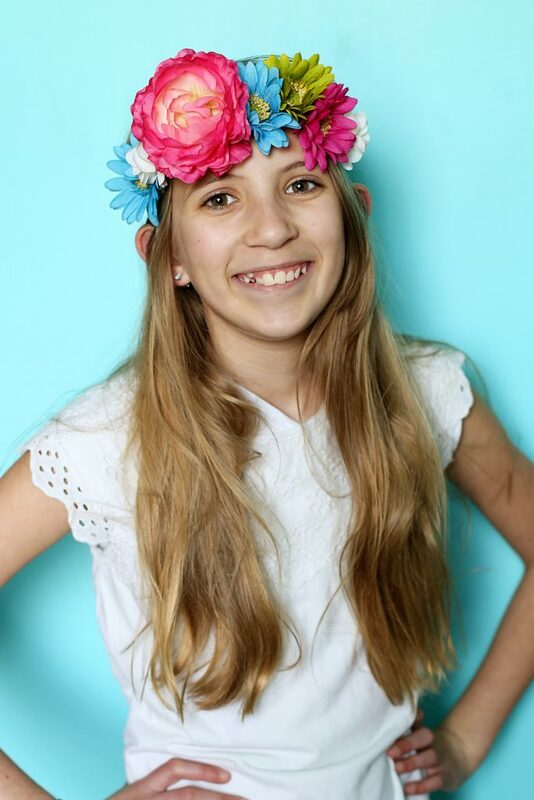 –Wear and enjoy your awesome floral crown!! These are so cute! 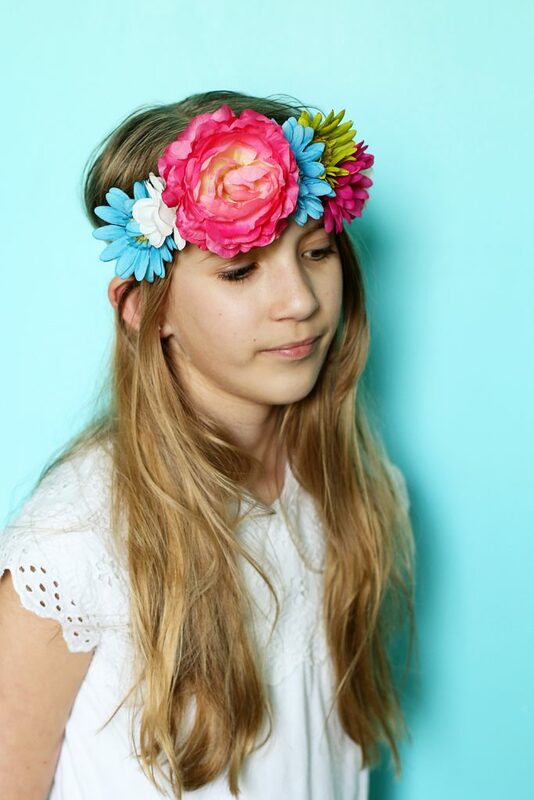 I want to make some for my daughter and me!